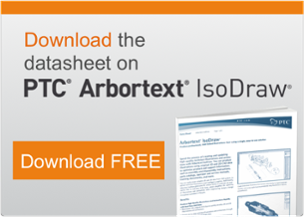 Automate the process of creating and updating high-quality technical illustrations and animations with Arbortext IsoDraw, a single software tool for all of your 2D and 3D illustration needs. You can draw from scratch or use original 2D and 3D data from CAD systems to deliver technical illustrations and intelligent graphics to optimise product information in the forms of assembly instructions, parts catalogs, operator and service manuals, training documents, and more. 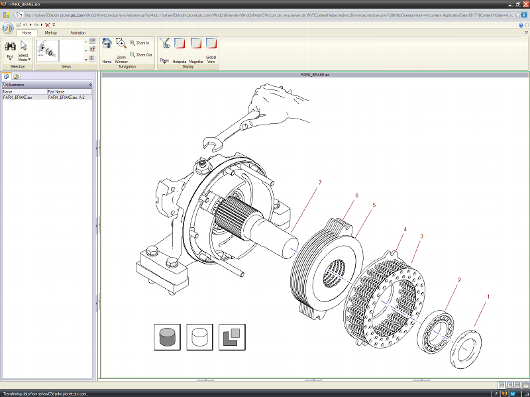 Additionally, Arbortext IsoDraw gives you the unique ability to maintain an associative link to real-time CAD data to automate the updating of illustrations and animations when engineering designs change throughout a product’s lifecycle. What can IsoDraw offer to you? Repurpose rich, original CAD data to quickly develop 2D and 3D illustrations and animations. Convey explicit service procedures by displacing lengthy text with illustrations. Support one or many types of data, such as 2D, 3D, raster graphics, and animations, in a single document. Prepare illustrations automatically for publishing in multiple delivery formats, including print, interactive and Web media to eliminate expensive, labor-intensive formatting tasks. Increase illustrator productivity and remove engineering from all illustration tasks. Improve operator and service performance levels with explicit illustrations to convey complex operation and maintenance procedures. Lower publishing, translation and illustration costs. Ensure the most up-to-date technical illustrations through the associative links to real-time design data. Manage the complete associative illustration lifecycle with Windchill to update illustrations and their use in documentation when engineering designs change.